As a primary teacher I definitely had my favorite books that I read aloud each year, without a doubt Dr. Seuss is at the top of that list! The rhyming, nonsense and whimsical worlds are the perfect recipe to spark a love for reading amongst my young readers. Many of which discover their love of reading after being able to read a Dr. Seuss book on their own. The rhyming and predictable text put reading within reach for most students. 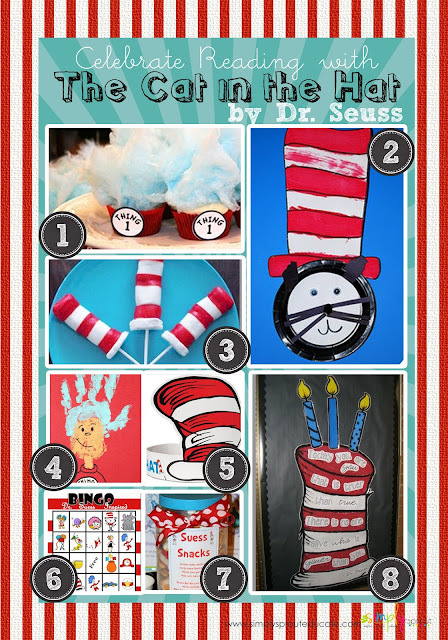 With Dr. Seuss' birthday right around the corner what better way to celebrate than to throw a little Dr. Seuss Party of your own. 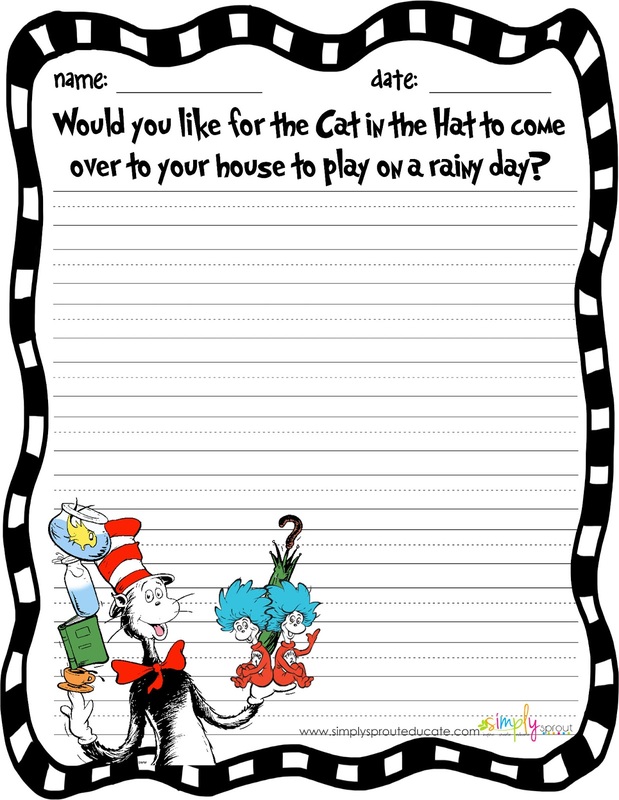 This week we will be highlighting some of our favorite Dr. Seuss stories and activities that would be easy to implement in the classroom...along with some FREEBIES of course! So be sure to check back each day! With the mischief loving Thing 1 and Thing 2 this book will be sure to be a hit amongst your class. Here are a few of our favorite ideas for a Seusstastic day! Extend the story with a creative writing activity. Would you like for the Cat in the Hat to come over and play? Why? What would you do? Why wouldn't you want him to come by? This is a great writing activity to introduce supportive details. To get the FREEBIE right click on the image below save and print. Mommy Craft Morning: Will you be My Valentine? What will you send your Valentine?